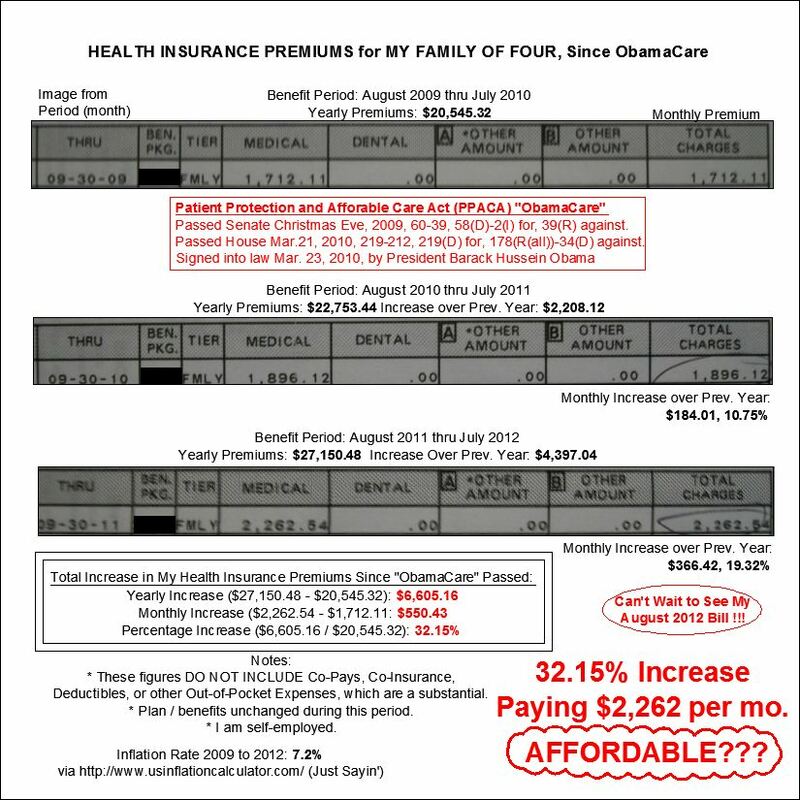 My 32% Hike in Health Insurance Premiums since ObamaCare ~ Affordable? Please share this with anyone who believes the hype about PPACA. Related: Affordable Care Act my Azz!